To empower individuals with a mental health challenge, along with their loved ones, to live a full and rich faith-filled life in spite of a mental health challenge. 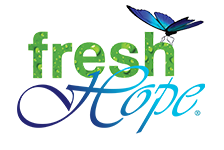 Copyright © 2016 - Fresh Hope - Fresh Hope Ministries is a 501(c)(3) Tax Empt organization. All gifts are tax deductible.